Nonsequitur & City of Seattle Parks & Recreation Dept. present the Seattle Phonographers Union in three weekend events as part of the Put the Arts in Parks program. The Seattle Phonographers Union is a collective of artists from multiple disciplines who improvise using only field recordings of sounds they gather in the world, presented without electronic manipulation. 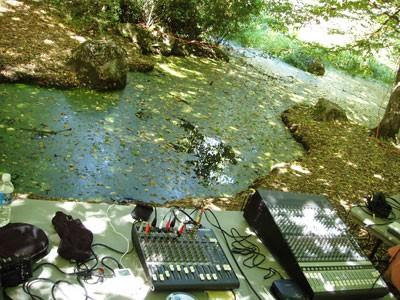 This weekend, members of the group will perform three free concerts in three different parks, using only sounds previously collected in Seattle City parks. Before each performance, group members will lead community participants in a guided Silent Soundwalk workshop. Open to all ages, though please note that the workshop will require 30 minutes of silence.